A NEW pilot school has opened near Changi Airport, boosting Singapore's status as a key training centre in a region where there is growing demand for cockpit crew. 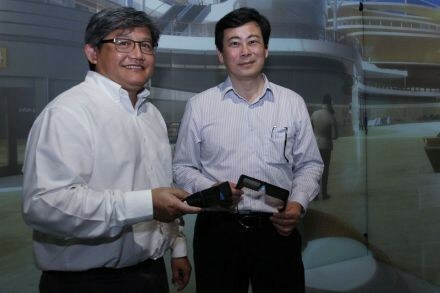 Housed in a six-storey facility at Changi Business Park Crescent, the $95 million Haite Singapore Aviation Training Centre is owned by China-based aerospace firm Haite Group. Catering mainly to airlines in South-east Asia, it has two flight simulators and aims to add five more over the next five years. With seven simulators, it will be able to provide about 50,000 training hours a year. Haite Singapore managing director Marc Nadeau expects to secure its first airline customer over the next few days but declined to say which one. It is the group's first such facility outside China where it currently trains more than 2,000 pilots and flight crew each year for airlines such as Air China, China Eastern and Philippine Airlines. With airlines buying more aircraft, it is estimated that more than half a million new pilots will be needed globally in the next 20 years. Four in 10 are expected to be hired by Asian carriers. 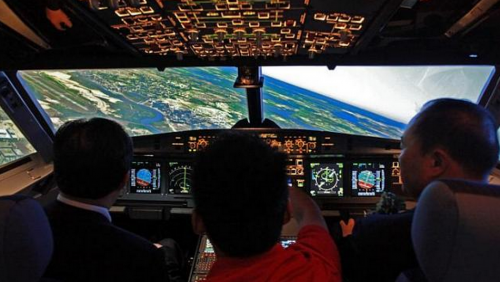 Singapore Technologies (ST) Aerospace also has a pilot training arm and in the first quarter of next year, Singapore Airlines and aircraft manufacturer Airbus will open their new pilot school at Seletar Aerospace Park. Mr Nadeau said: "We have some very big players in the region but each player has its own particular role. We are addressing not just the commercial aviation market but also business aviation and the helicopter segment. This is where we distinguish ourselves. We address all aircraft types and all aircraft segments." Speaking at the official opening of the facility yesterday, Senior Minister of State for Transport Josephine Teo said Haite is a welcome addition to Singapore's aviation industry, which has more than 100 companies offering a full suite of services, such as aircraft maintenance and repair, parts distribution, and aircraft leasing. Ms Teo said the firm's presence here "is a testament to Singapore's importance as an aerospace hub for the region and an excellent example of how we can partner Chinese companies to facilitate their international expansion, especially into the growing South- east Asian market".